A modern take on a retro style these earrings are large but lightweight. 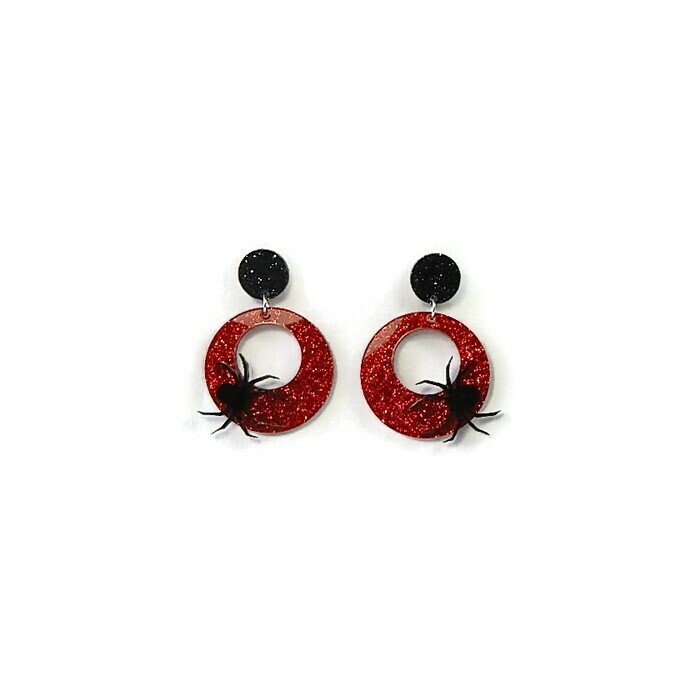 The perfect accessory for Halloween or to add a little spookiness to your everyday wardrobe. 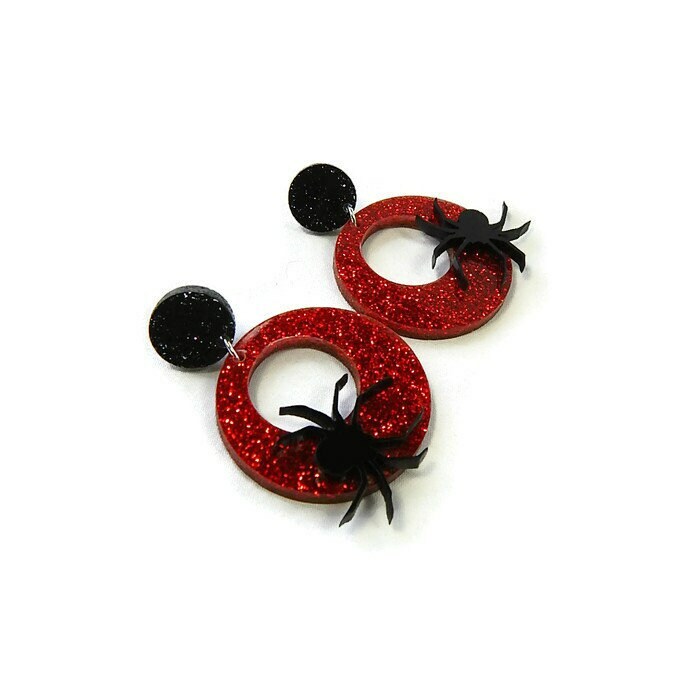 One black spider is placed on each red glitter acrylic hoop which is hung from a black glitter acrylic circle. 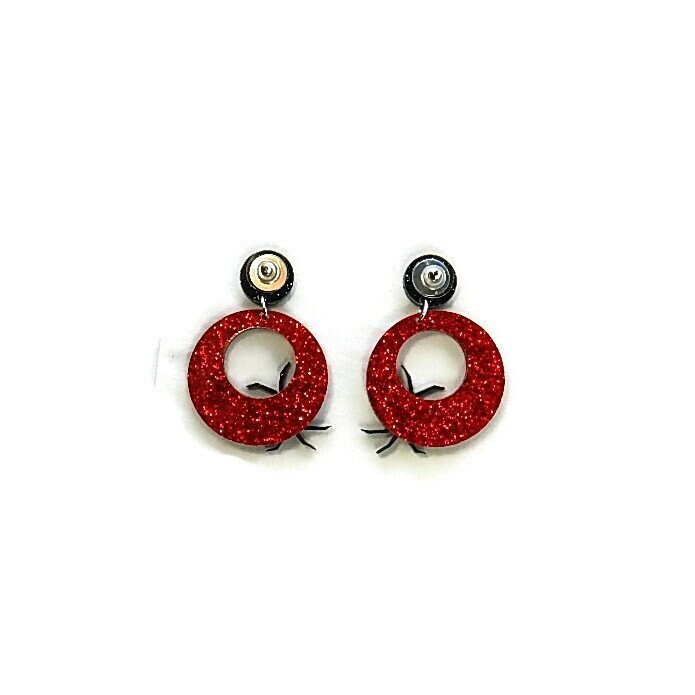 The black circle measures 14 mm in diameter and the earrings measure approximately 54 mm from top of circle to bottom of hoop and 40 mm at widest point of hoop. LOVE! Thank you. Looking forward to placing my third order!